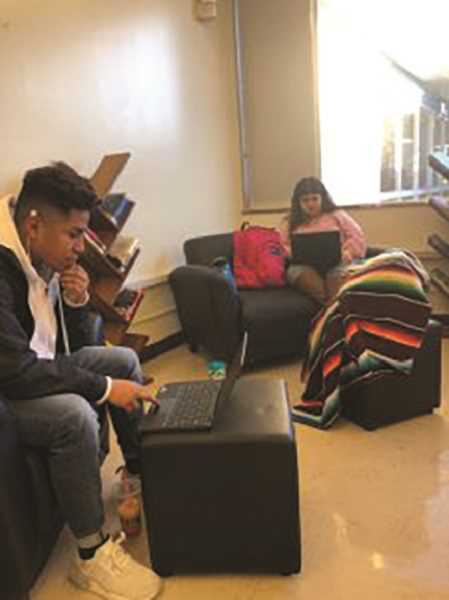 Gervais High School received a grant for $4,944 on Dec. 4 for the purchase of 12 Chromebooks and additional equipment, including carrying cases and wall-mounted screens. The grant was sponsored by local telecom provider DataVision and provided through the Foundation for Rural Service, a nonprofit organization that helps provide broadband service to rural communities. This is the second grant Gervais High School has received through the Foundation for Rural Service in the past three years. The school was awarded a similar $5,000 grant for 20 Chromebooks in 2016. The Gervais grant was one of 12 grants awarded nationwide (one of two on the West Coast) by FRS to rural schools in 2018, totaling nearly $50,000. For more information on the Foundation for Rural Service, go to http://www.frs.org.